Her Majesty’s Inspectorate of Constabulary (HMIC) today published its annual assessment of the state of policing in England and Wales for 2016. A Ministerial statement on the report is below. 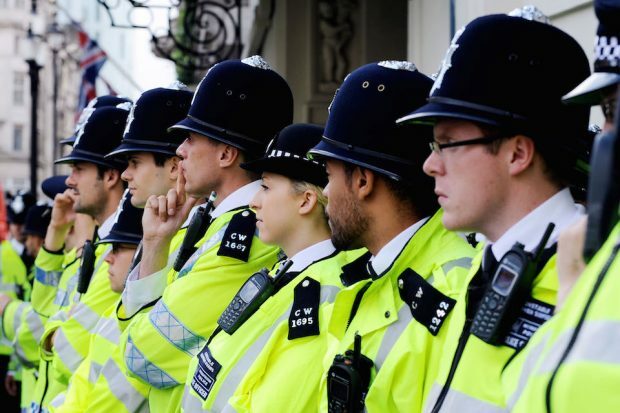 The UK’s model of policing is the envy of the world and our police officers do an amazing job, day in, day out. Public confidence in their work has never been higher. People experiencing mental health crisis need to be supported by health professionals in the right place, which is not a police cell. The police cannot provide the specialist care needed, which is why the Government has invested an additional £1 billion by 2020 to improve mental health services. Significant progress has been made by the police and health partners in halving the use of police cells for those detained under the Mental Health Act in recent years, and the Government intends to go further through banning the use of police stations for under 18s and restricting their use for vulnerable adults. Her Majesty's Inspectorate of Constabulary's report is a wide ranging document, with findings made across policing. As well as an initial response, Minister for Policing and the Fire Service Brandon Lewis has provided further detailed comments on the report. This week’s report from Her Majesty’s Inspectorate of Constabulary highlights that we have a police force that is the envy of the world. Police officers and staff are truly dedicated and do a brilliant job in their vital work in cutting crime and keeping our communities safe. Police reform is working and crimes traditionally measured by the crime survey are down by well over a quarter since 2010. Furthermore, public confidence in their work has never been higher. However, whilst I am pleased that there have been improvements in forces’ overall performance since last year, HMIC’s report makes plain that there is too much variation in performance and there are some areas that could be improved. My message to policing is simple - where improvements have been identified forces must take action. Getting support for the most vulnerable in our society is a priority across Government. As the HMIC report says, it is not just police forces who are charged with meeting the needs of these people, such as those in mental health crisis, but they do have an important role to play. However, I want to be clear that if someone is experiencing mental health crisis they need to be supported by health professionals in the right place, which is not a police cell. The Government is investing £30 million in providing more alternative places of safety and significant progress has been made by the police and health partners in halving the use of police cells for those detained under the Mental Health Act in recent years. We also intend to go further through banning the use of police stations for this purpose for under 18s and restricting their use for vulnerable adults. This is part of the Government’s wider commitment to transform mental health services through additional investment of £1 billion by 2020. Police benefit from a fair funding deal and, as HMIC has made clear, there is considerable scope to improve efficiency in some forces. This Government has protected police funding since the 2015 Spending Review, and police forces have the resources to keep us safe. It’s about how resources are used and that’s why it is absolutely right that decisions about frontline policing and the deployment of officers are for Chief Constables and democratically accountable Police and Crime Commissioners. For instance, the best performing force in HMIC’s recent Effectiveness report – Durham, which secured an “outstanding” rating – is by no means the best-funded. HMIC has made clear in the past that there is no simple link between officer numbers and crime levels, between numbers and the visibility of police in the community or between numbers and the quality of service provided. PCCs and Chief Constables have set out their Policing Vision 2025 and the Government is supporting its implementation by increasing the size of the Police Transformation Fund to £175m in 2017-2018. The allocation of this funding is part of a police-led process with PCCs and Chief Constables sitting the Police Reform and Transformation Board making recommendations about how funding should be allocated. It’s designed to bring real, rapid change to policing, invest in digitisation and make sure our police forces are fit for the future. The Police Transformation Fund, for instance, has provided £4.6million to fund a comprehensive programme digital transformation across policing. HMIC’s findings on police IT are important and the systems police forces use need to be better connected in order to ensure vital information is shared properly between forces. However, it is also up to police at an operational level to make use of the technology they do have. In some cases highlighted by HMIC, it is a serious concern that updates and vital information on investigations are not being updated on the Police National Database. I’ve already met with representatives on the National Police Chiefs’ Council and emphasised that immediate action must be taken in this area. Additionally, the Home Office and police leaders recognise that technology has moved on. We’ll continue to provide support and challenge to make sure the necessary progress is made. Work is already well underway to replace both the Police National Database and the Police National Computer with a new national system that fully meets the demands of modern policing. To conclude, I recently wrote to all those judged by HMIC to “require improvement” in its recent Effectiveness inspection, and will continue to closely monitor performance across England and Wales. The British public rightly expects the highest possible standards from their police forces and they should know that this Government continues to give forces the tools they need to carry out their vital work.